In cooperation with reputable dive schools on the gilis and Senggigi, we can arrange a daily (shares) dive trip or snorkeling trip to the gilis includes return transfers, boat, diving equipment, snorkeling at a reasonable fare. 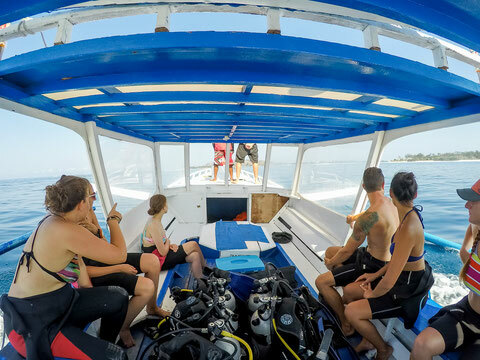 Our daily dive trip require you have dive certificate (at least PADI Open Water - Certified). 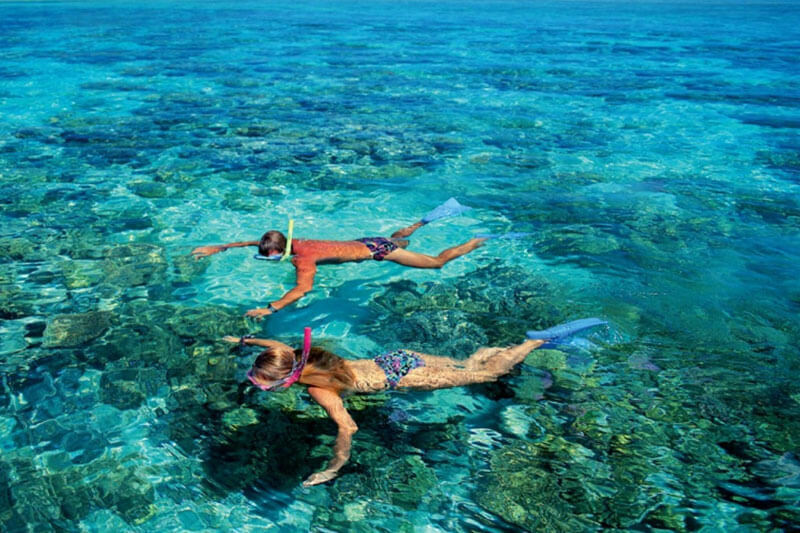 For non-diver (accompanion) can join the trip for snorkeling from the shore or just exploring Gili Trawangan, rent bicycle, canoeing or sun bathing. You'd be picked up from your hotel lobby, transfer you to Teluk Nare Harbour, then proceed to Gili Trawangan by Private Outrigger Motorized Boat. Arrive at Gili Trawangan, meet up with the crew and guide, get explanation about the dive sites options to visit, prepared for the morning boat dive trip. Non-diver can do snorkeling or swimming or cycling. Return to the base and have a lunch break. Free program. Get back to the boat again for the afternoon dive. Return to the shore, freshn up. Departure from Gili Trawangan, by boat to teluk nare harbor, then go back to your hotel in Senggigi or Mataram by private AC Van. End of program.